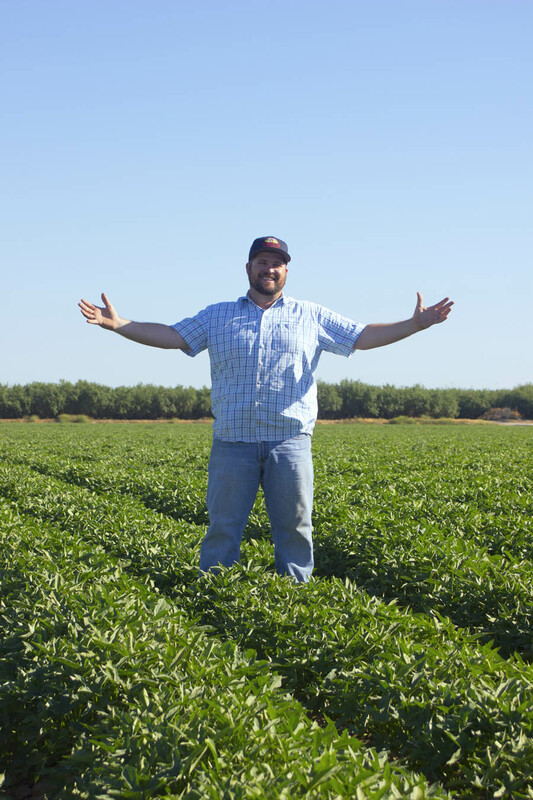 Adam Shaner is Farm Manager for Quail H Farms of Livingston, California. He overseas the growing seasons of several crops, including about 750 acres of sweetpotatoes, both conventional and organic. His duties include budgeting and crop planning, plus supervising planting, equipment, maintenance, harvesting, and employees. Quail H Farms also grows carrots, winter squash, forage crops (feed for livestock), and almonds. The company employs about 75 full-time staff members. Adam loves the Central Valley’s “proximity to everything”— the ocean, the mountains, the city. He and wife Sammie—who makes amazing sweetpotato cupcakes—have a brand new baby boy named Knox Henry, born summer of 2017. And their two dogs, Hector and Mia, love to eat sweetpotatoes!